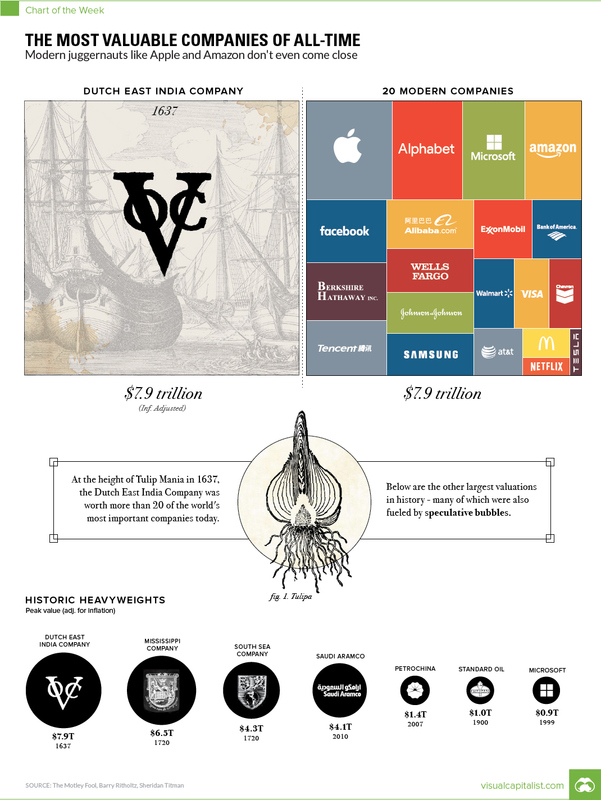 Dutch East India Company, the first and last Trillionaire Transnational MegaCorporation. Before speculative bubbles could form around Dotcom companies (late-1990s) or housing prices (mid-2000s), some of the first financial bubbles formed from the prospect of trading with faraway lands. Looking back, it’s pretty easy to see why. Companies like the Dutch East India Company (known in Dutch as the VOC, or Verenigde Oost-Indische Compagnie) were granted monopolies on trade, and they engaged in daring voyages to mysterious and foreign places. They could acquire exotic goods, establish colonies, create military forces, and even initiate wars or conflicts around the world. 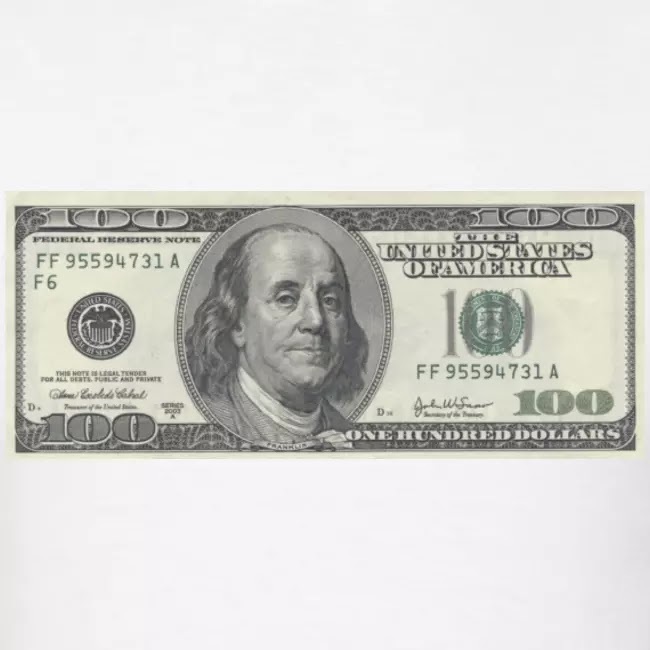 Of course, the very nature of these risky ventures made getting any accurate indication of intrinsic value nearly impossible, which meant there were no real benchmarks for what companies like thisshould be worth. The Dutch East India Company was established as a charter company in 1602, when it was granted a 21-year monopoly by the Dutch government for the spice trade in Asia. The company would eventually send over one million voyagers to Asia, which is more than the rest of Europe combined. However, despite its 200-year run as Europe’s foremost trading juggernaut – the speculative peak of the company’s prospects coincided with Tulip Mania in Holland in 1637. Widely considered the world’s first financial bubble, the history of Tulip Mania is a fantastic story in itself. 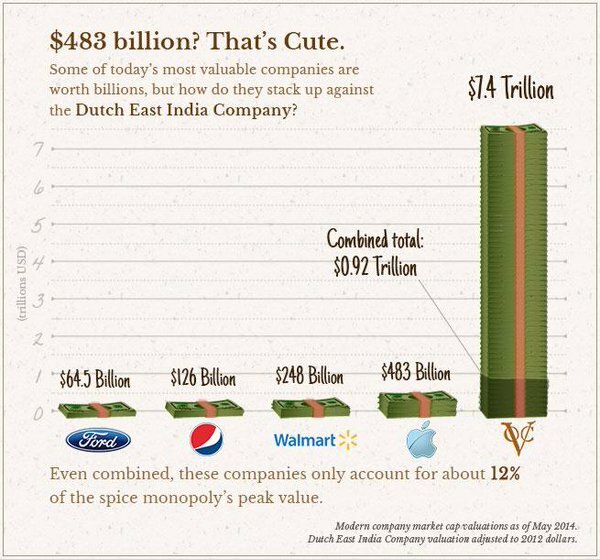 During this frothy time, the Dutch East India Company was worth 78 million Dutch guilders, which translates to a whopping $7.9 trillion in modern dollars. This is according to sources such as Alex Planes from The Motley Fool, who has conductedextensive research on the history of very large companies in history. 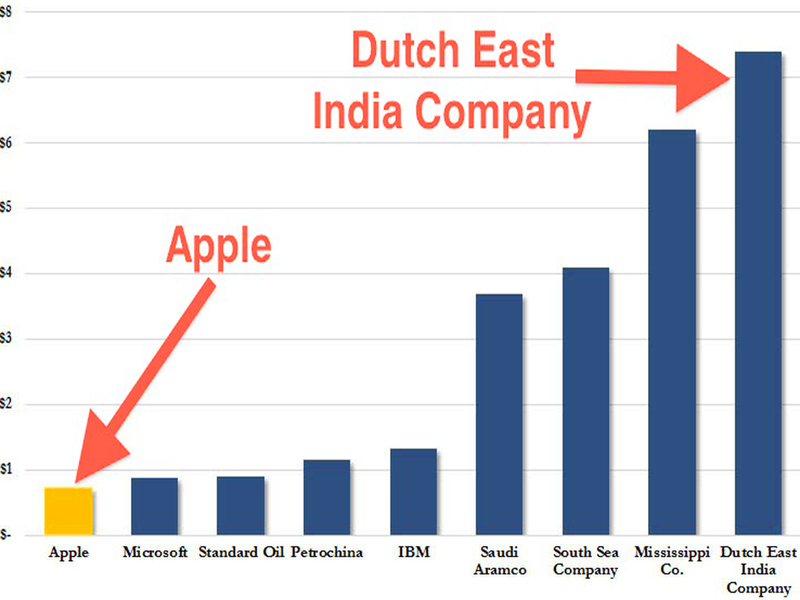 The peak value of the Dutch East India Company was so high, that it puts modern economies to shame. In fact, at its height, the Dutch East India Company was worth roughly the same amount as the GDPs of modern-day Japan ($4.8T) and Germany ($3.4T) added together. Even further, in today’s chart, we added the market caps of 20 of the world’s largest companies, such as Apple, Microsoft, Amazon, ExxonMobil, Berkshire Hathaway, Tencent, and Wells Fargo. All of them combined gets us to $7.9 trillion. At the same time, the world’s most valuable company (Apple) only makes it to 11% of the peak value of the Dutch East India Company by itself. Despite the speculation that fueled the run-up of Dutch East India Company shares, the company was still successful in real terms. At one point, it even had 70,000 employees – a massive accomplishment for a company born over 400 years ago. The same thing can’t be said for the other two most valuable companies in history – both of which were the subject of simultaneous bubbles occurring in France and Britain that popped in 1720. In France, the wealth of Louisiana was exaggerated in a marketing scheme for the newly formed Mississippi Company, and its value temporarily soared to the equivalent of $6.5 trillion today. Meanwhile, a joint-stock company in Britain, known as the South Sea Company, was granted a monopoly to trade with South America. 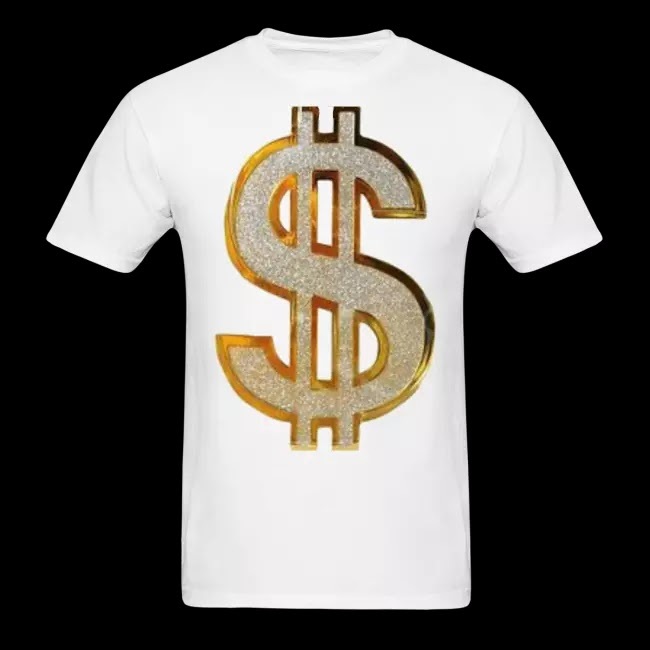 It was eventually worth $4.3 trillion in modern currency. Interestingly, both would barely engage in any actual trade with the Americas. The other historic heavyweights included in our chart? Saudi Aramco, at $4.1 trillion, based on calculations by University of Texas finance professor Sheridan Titman in 2010, and adjusted for inflation. PetroChina surpassed $1 trillion in market cap in 2007. Adjusted for inflation that’s $1.4 trillion today. Standard Oil, before its famous breakup due to monopolistic reasons, was worth at least $1 trillion. Adjusted for inflation it would likely be more, but we kept this conservative. Microsoft reached its peak valuation in 1999, at the top of the Dotcom Bubble. Today, that would be equal to $912 billion.